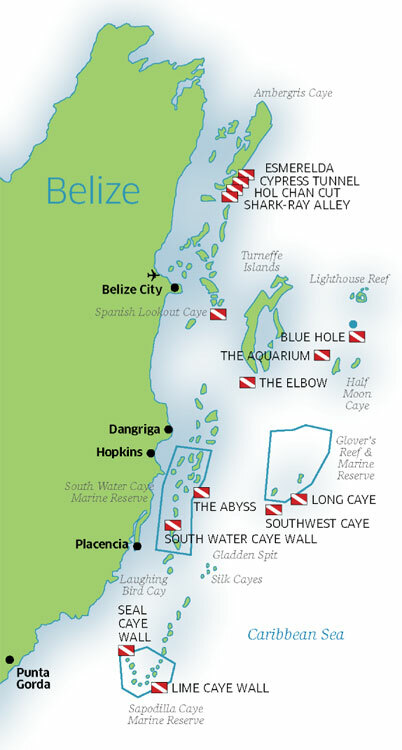 Belize offers an underwater diving majesty, big islands, hundreds of smaller offshore isles, three huge and distinctive coral atolls, and the second largest barrier reef that seems endless. The underwater world around Belize is filled with shallow gardens of corals, steep drop-offs speckled with colorful fish, vibrant sponges and other marine life. With the world famous Blue Hole it's no wonder that Belize is one of the world's most suited diving destination and Paradise Resort is your home base for all of it. On the way out to the dive site you will pass many small cayes (islands) once used by pirates of the Carribean. While underway your friendly crew will provide information about the dive site. Keep your eye out for the friendly dolphins. The trip out is from 45 minutes to an hour if the weather is calm.